Design and build applications for Android devices on the Android platform. Maintain quality and ensure responsiveness of applications. Collaborate with the rest of the engineering team to design and launch new features. 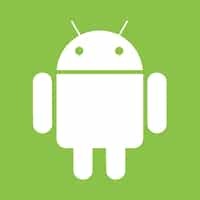 Experience with Android SDK and multiple versions of Android. Experience with an Android framework, as well as offline storage, threading, and performance tuning. Must be familiar with RESTful APIs to connect Android applications to back-end services. Development experience with accelerometers, touch, gyroscope, and additional sensors. Experience with Android UI principles and best practices. Knowledge of the open-source Android ecosystem and the available libraries. Experience with cloud message APIs and usage of push notifications. Knowledge of code versioning tools (such as Git, Mercurial or SVN). Make sure to mention any additional frameworks, libraries, or other technology relevant to your project/company. Responsibilities: Design and build applications for Android devices on the Android platform. Maintain quality and ensure responsiveness of applications. Collaborate with the rest of the engineering team to design and launch new features. Maintain code integrity and organization.